Press Release – The Food Bank of Central Louisiana is asking for the community’s support on May 12th as it joins America’s letter carriers and Feeding America, the nation’s largest domestic hunger-relief organization, in the annual Stamp Out Hunger food drive. Hosted each year by the National Association of Letter Carriers, Stamp Out Hunger is the largest single-day food drive in the country. 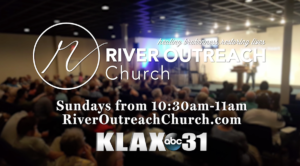 The food collected in central Louisiana will be distributed through the Food Bank of Central Louisiana. 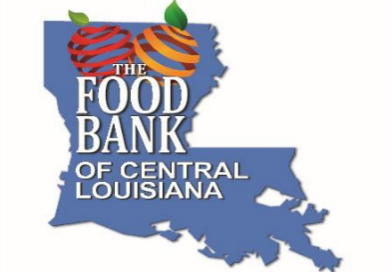 Central Louisiana residents can join the Food Bank of Central Louisiana and support community members who struggle with hunger by simply collecting non-perishable food items and leaving them in a sturdy bag near their mailboxes on May 12th. A letter carrier will collect the donations and deliver them to the Food Bank of Central Louisiana. Items will then be distributed to those facing hunger right here in our community. In central Louisiana, more than 44,147 pounds of food was donated through last year’s Stamp Out Hunger food drive. The Food Bank of Central Louisiana is grateful for the Alexandria/Pineville/Marksville 932 National Association of Letter Carriers for conducting this food drive, and for The Rotary Club of Alexandria for sponsoring the bags for this year’s drive. Stamp Out Hunger is like no other food drive. It allows every community across the country to collectively come together on one day to do their part to fight hunger. We are so grateful to community members who donate non-perishable items and for the letter carriers who take the time to collect each bag to help fight hunger in central Louisiana,” said Jayne Wright-Velez, executive director of the Food Bank of Central Louisiana. For more information about the Stamp Out Hunger Food Drive or the Food Bank of Central Louisiana, please call 318.445.2773.